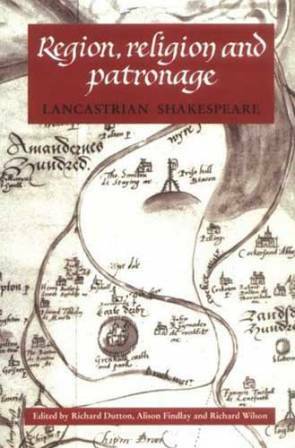 Lancastrian Shakespeare: Region, Religion and Patronage. by Richard Dutton, Alison Gail Findlay, Richard Wilson. Exploring the network of social, political and spiritual connections in north west England during Shakespeare's formative years, this text discusses how the cultural context in which the apprentice dramatist worked may have shaped him as an artist. It provides readings of "Twelfth Night", "Romeo and Juliet" and "A Midsummer Night's Dream", and explores the position of Lancashire as a Catholic stronghold and home to Counter-Refomation missionaries in opposition to the attempts of central government to create a united state. The text also introduces the reader to the non-metropolitan theatre spaces which formed a vital part of Early Modern dramatic activity.